Secure your customer data with Zoho Desk. Bring structure to your customer service. Not everyone in the company has the same level of responsibility in the customer experience. Your help desk includes several roles, from agents to decision-makers. Using Roles, you can now create your entire organization chart in Zoho Desk, manage the information visible to each role, and set the actions each role can perform. Managing roles helps you maintain the integrity of your customer information. 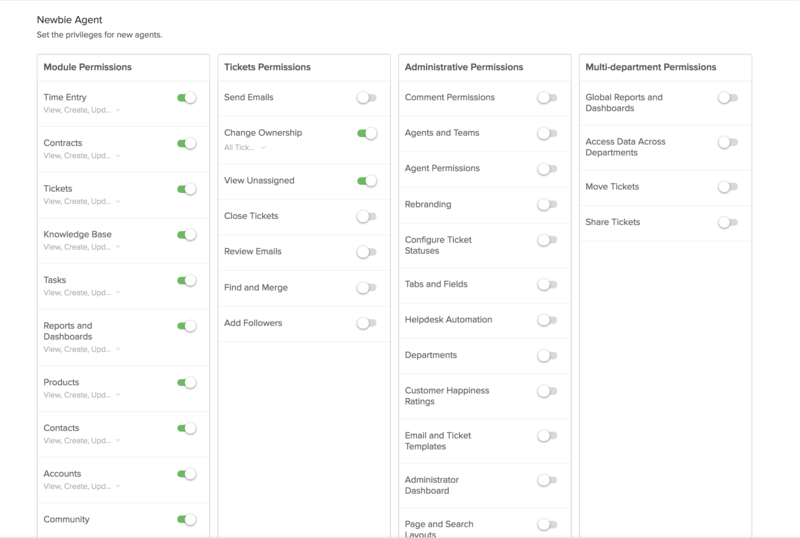 You can associate an array of roles with a single profile, like Agent or Admin, and ensure they have the appropriate permissions to perform actions related to customer service. Zoho Desk provides a set of default profiles that help you kick-start this process. You can customize profiles and permissions easily, to suit your team. Protect and secure your data. Control who can access data contained within each module in your helpdesk, using data-sharing permissions to help keep data secure. When you make a module Public, everyone in your helpdesk can view and edit the data in it; Read Only lets agents can view the records but not edit them, and Private lets only the owner of the record view or edit the data. Your helpdesk contains important customer information that provides context to agents. 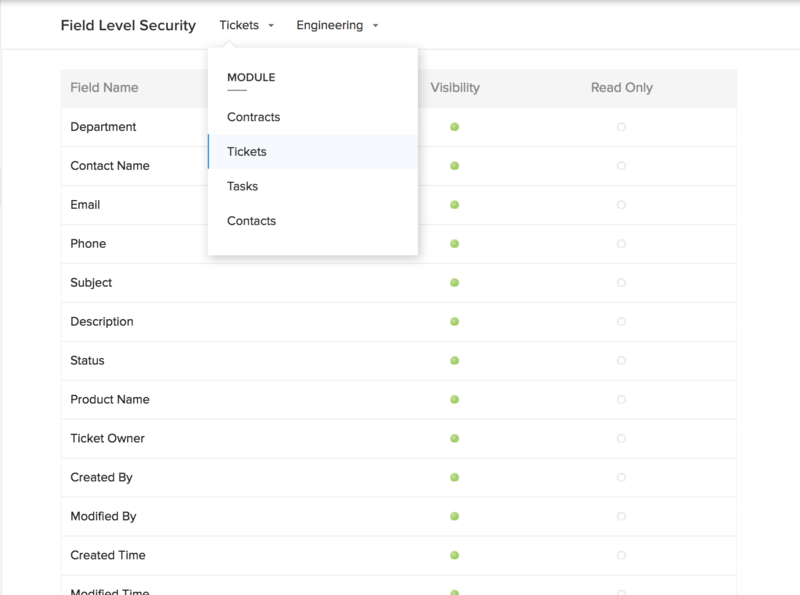 Enabling field-level security lets you decide who can edit which fields in any layout that you create, thus limiting the chances of a security breach. You can also customize the privileges and access rights of each agent in your team based on their roles and responsibilities within the organization. It goes without saying that in customer service, it’s important to keep sensitive data secure. At Zoho Desk, we have always honored our users' right to data privacy and collection. When GDPR, an EU-wide privacy and data protection law was introduced, we merely strengthened our privacy settings further. Take a look at some of the ways we’ve ensured maximum security for you and your customers. Take a 15-day free trial.